To register for a Walker Center workshop, contact the center directly at 888.467.3472, ext. 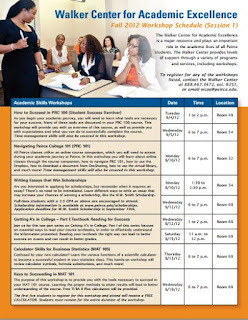 9251, or email WCAE@peirce.edu. You can also find out about additional services, like tutoring, disability services or academic counseling. 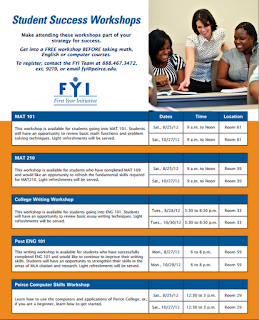 To get involved in an FYI workshop, contact the FYI team at 888.467.3472, ext. 9219, or email FYI@peirce.edu. And of course, it’s free for all Peirce students to attend these workshops! 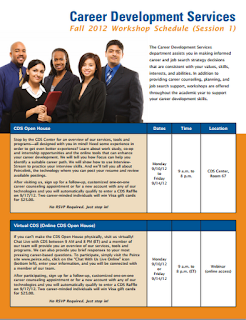 We’re looking forward to a fall filled with fun and informative workshops and events from our support centers!